Our menu items are made up from the finest ingredients and to ensure top flavor and freshness, they are made to order. We have a vast amount of dishes to meet the eclectic palettes of our customers and guarantee that everyone who dines with us will leave happy and eager to return. 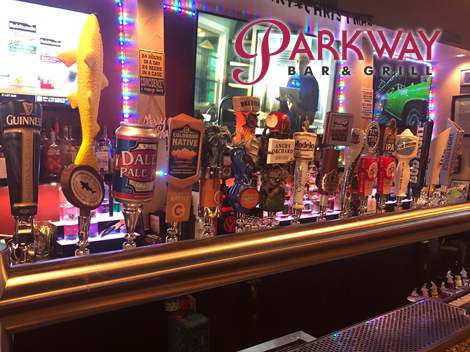 Enjoy a beer or our large wine selection with your meal as well as a full bar for the specialty drink of your choice. See you soon! Fresh sushi grade ahi tuna well seasoned then pan seared to your liking. Chef’s secret recipe of wheat beer braised for tender ribs. Parkway’s signature pizza is the ultimate in taste and in crust. 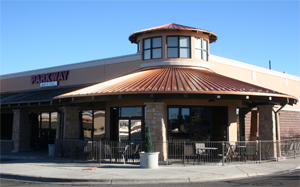 Parkway Bar and Grill opened in January, 2007. The owner felt there was a need for a friendly locally owned restaurant in southeast Aurora. The menu is very diverse, from great crab cakes to mouth watering ribs, fantastic fish and chips or a great burger on a fresh ciabatta roll, and everything in between, all at reasonable prices. Plus great daily food specials. 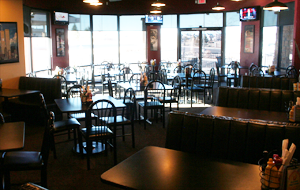 In addition to our great food and service we also have 2 pool tables, Golden T Golf, Silver Streak Bowler.